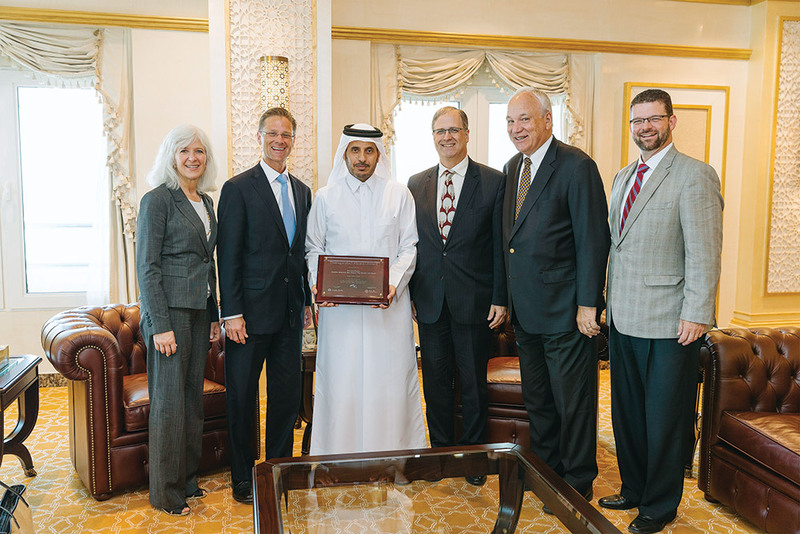 Left to right: SPU Vice President for Advancement Louise Furrow; SPU President Dan Martin; Prime Minister and Minister of Interior of the State of Qatar, His Excellency Sheikh Abdullah Bin Nasser Bin Khalifa Al Thani; Associates in Cultural Exchange (A.C.E.) 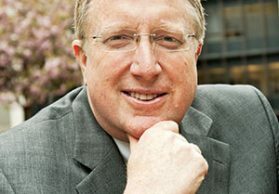 President and CEO David Woodward; A.C.E. 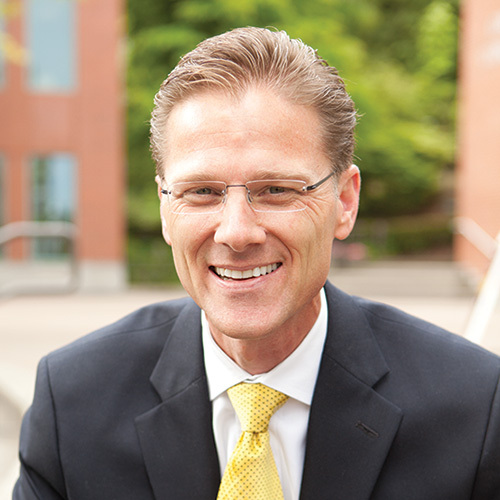 Chairman of the Board Scott Hardman; and SPU Vice President for Enrollment Management and Marketing Nate Mouttet. Photo courtesy of Nate Mouttet. At the invitation of Prime Minister and Minister of Interior of the State of Qatar, His Excellency Sheikh Abdullah Bin Nasser Bin Khalifa Al Thani, SPU leaders traveled to Qatar in September to explore developing a relationship between the University and the Middle Eastern country. The Qatari leader studied English on the SPU campus in 1981 through the Associates in Cultural Exchange (A.C.E.) Language Institute. Since that time, he studied in the United Kingdom, served in the Qatari military, and rose to his current leadership positions. Martin, along with A.C.E leaders, Vice President for Advancement Louise Furrow, and Vice President for Enrollment Management and Marketing Nate Mouttet, met with Qatari leaders and officials from Qatar University, and toured the Islamic Museum of Art and other cultural sites.